TGIF!! Hope you all had a great week! I have an easy DIY this week that can totally transform your outdoor space. Do you have plastic chairs that are similar? I bought these "adirondack" chairs a couple of years ago for the front porch. 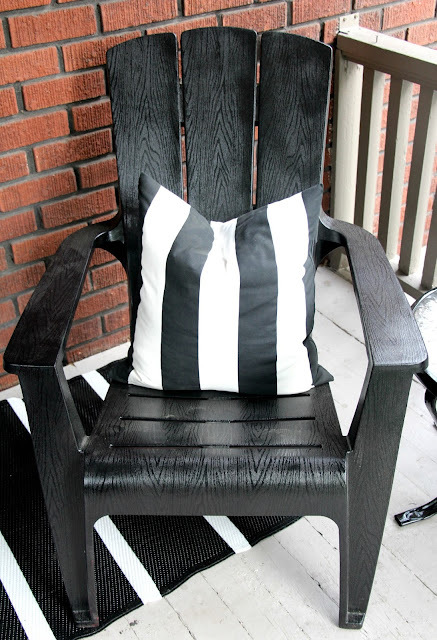 They were inexpensive and Mr. Fix-It and I have spent many summer nights chatting over drinks in these chairs. However, I never really loved the red. 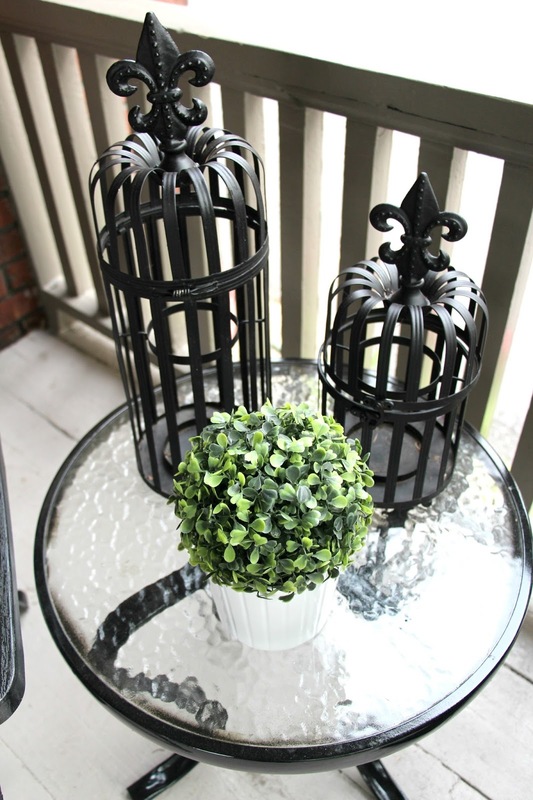 The look I had in mind when I bought them, just didn't wow me on the porch. 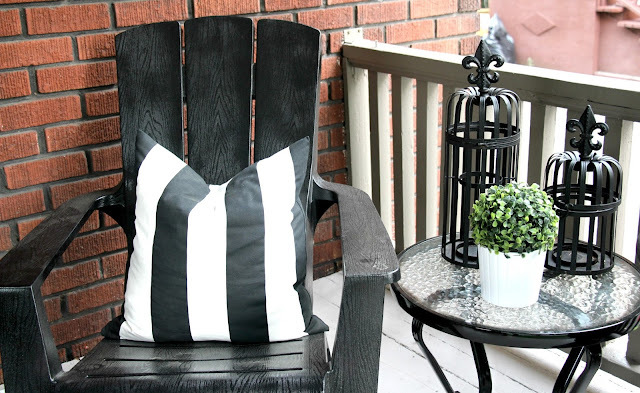 So, you know how much I love spray paint...enter in a DIY! Honestly, this project can't get much easier. 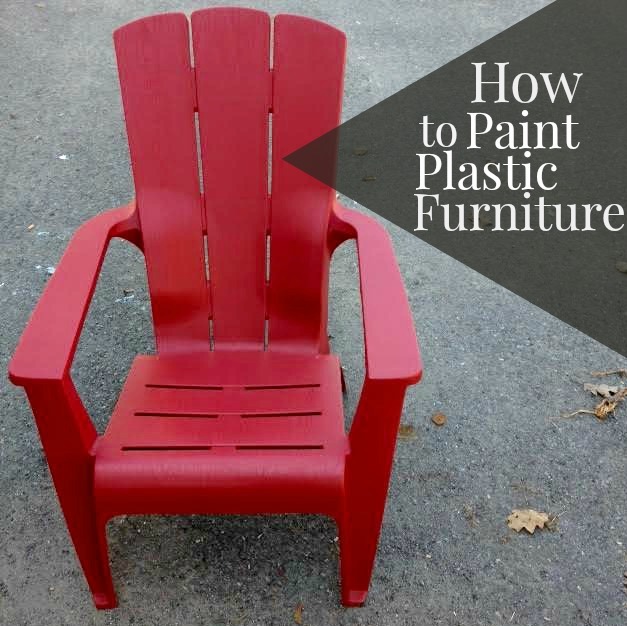 Pick up a spray paint that is designed for covering plastic. A key tip to remember is to wash your furniture. The furniture needs to be squeaky clean because any dirt that gets covered in paint will just flake off. The kids created a "chair wash" and a "bike wash" in the driveway and scrubbed the chairs down. While this project is easy peasy, it takes a bit of time. Remember...thin, even coats and allow about an hour to dry/coat. I left the chairs in the driveway to dry in the sun. A fresh coat of spray paint on these candle holders that my girlfriend was going to sell at the garage sale, as well as, a spray of our side table that's been kickin' around (it used to be in my parents' backyard) and we have a fresh.fabulous.sophisticated "new" porch setting for the win!! Have a fabulous weekend my friends. Get out your spray paint! Plastic furniture finds its presence in almost every household or office. With a huge range of variety and designs, it can fit in almost every style of decor. It is important to look at the pros and cons of plastic furniture, if you are looking for buying one. Welcome to KEEP IT BEAUTIFUL DESIGNS! If you love home design, DIYs, fashion, travel & tips then this is your spot! Join me as I share the journey of renovating our 100 year old home in Ottawa, ON to create beautiful spaces to raise our 3 small children and be house proud. Small or big, all spaces deserve to be beautiful and functional for real life and with real life budgets. Oh and did I mention that I love a fabulous bottle of red! Visit Alicia's profile on Pinterest. Fabulous, Starts From the Ground Up! Let's Talk Laminate Flooring. BIZ LAUNCH! THE KEEP IT BEAUTIFUL SHOP!